Harry N. Abrams, 9781419726507, 224pp. Kim Leggett is a sought-after interior designer, successful retailer, and the author of the bestselling Leggett’s Antiques Atlas series. She lives in Franklin, Tennessee, and can be found at cityfarmhousefranklin.com. 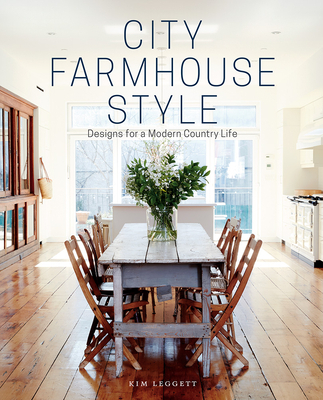 "In her new book, City Farmhouse Style, designer Kim Leggett celebrates the ageless appeal of farmhouse staples - and explains why the look isn’t going anywhere. (You can bet the farm on it)." "Forget your old definition of farmhouse style and learn about the diversity of the look." "So, what happens when homeowners throw out the design rule book? Genius decorating ideas pop up everywhere. A flip through Leggett's book reveals dozens."